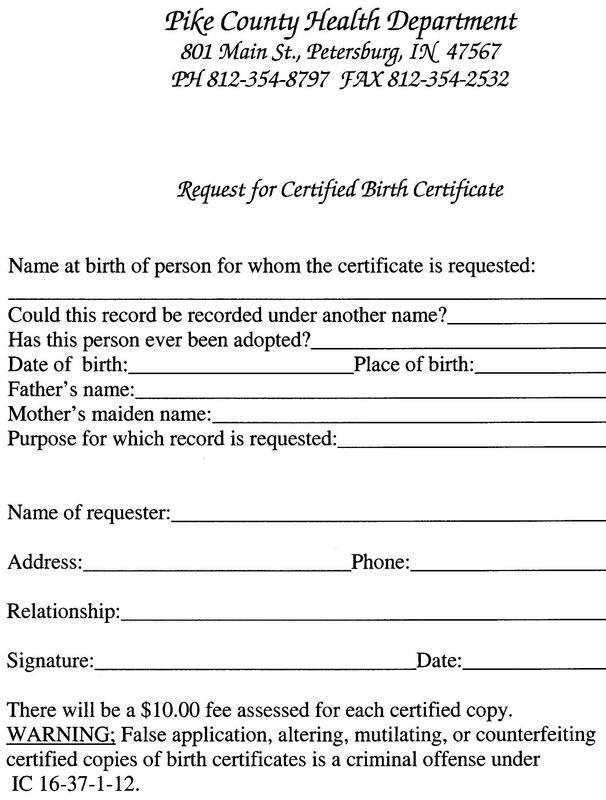 Birth records are not available for public viewing, but copies can be requested. 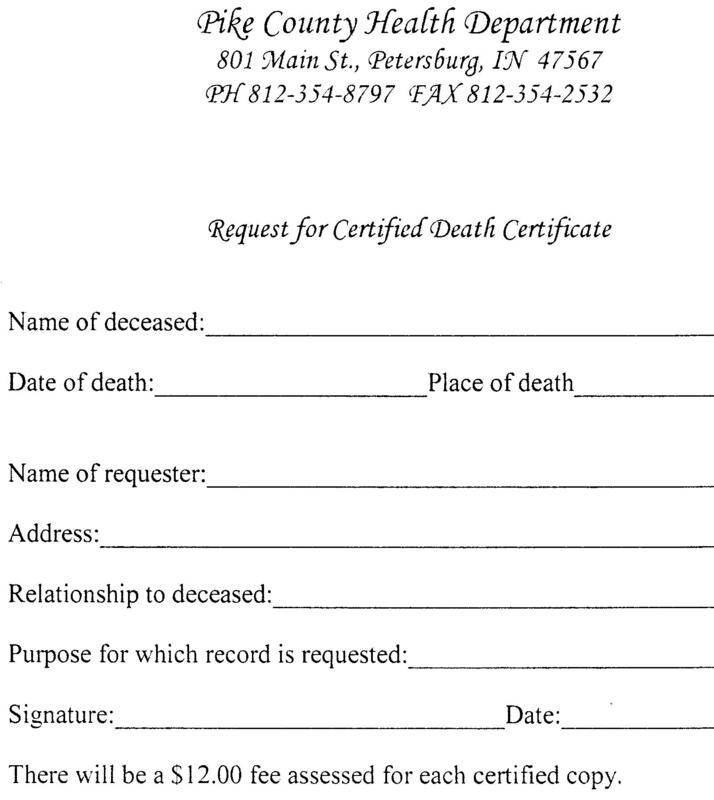 Death records are public records and are listed in chronological order. When sending in a Birth or Death form, DO NOT SEND PAYMENT. If your request can be filled, you will be called with the amount due. A phone no. must be on the form. Transfer Records from 1817 to the present. From 1885 to present the books were used for approximately 10 year periods. The book lists everyone in a particular township who owned, sold or bought property dui that time period. Churches and cemeteries may or may not be listed. Prior to 1885, the transfer books were just a list of transfers. Not all the owners are listed If they owned property during that time, but did not buy it or sell it during that time period, then they are not listed. From 1885 to the present, you can determine the approximate age of a house, if you follow the value of improvement column, it the transfer book, and watch for a significant increase in value from one book to the next book. Platbooks show the current owner of the property. Our oldest platbook was drawn in 1940. An 1881 platbook is available for viewing in the Petersburg Public Library. Index books are present from 1817 to 1905. Marriage records through this time list the groom, bride and officiating minister. 1905 - Present. Records also lists the bride and groom's birthplace and occupations their parent's birthplaces and occupatiotis. Listed in the Estate Index chronologically by first letter of the last name. Listed in the Will Index chronologically by first letter of the last name. Listed in a printed form done by Joan WoodhuJl. All other records have been transferred to the State Archives. Later guardianship records involving mental health cases are closed files and not available to the public. Listed in the Civil and State Indexes and begin in 1817. Beginning in 1991 these recordsare filed by cause numbers. Cost - Copies $ 1.00 per page. Certified copies cost an additional $1.00. Available on all parcels of ground. These may be helpful if trying to determine the approximate age of a house. Indexed by township and current owner's name. If you fail to find.your family in the Grantor or Grantee Indexes, then it may be helpfiil to look in the Tract Book. This is where the property was purchased from the government and is the very first instrument on the property. If you know the section, township, and range of property, your search Will be much quicker. However, you can check the tract book by name.